Twisty Glass Blunt, a newly designed pipe, makes scrolling obsolete. It is easy to use and non-stick, and it has a huge vapor and good smoking taste, will provide you with a good smoking experience. Twisty Glass Blunt, a newly designed pipe, makes scrolling obsolete. The screw cools the smoke by doubling the length of the flue, allowing the absorber to absorb more heat. The heatsink and the path extension performance of the screw help to fight 30% of the cooling. Fill 1.5 grams of any desired material into the glass tube and screw it counterclockwise into the tube. 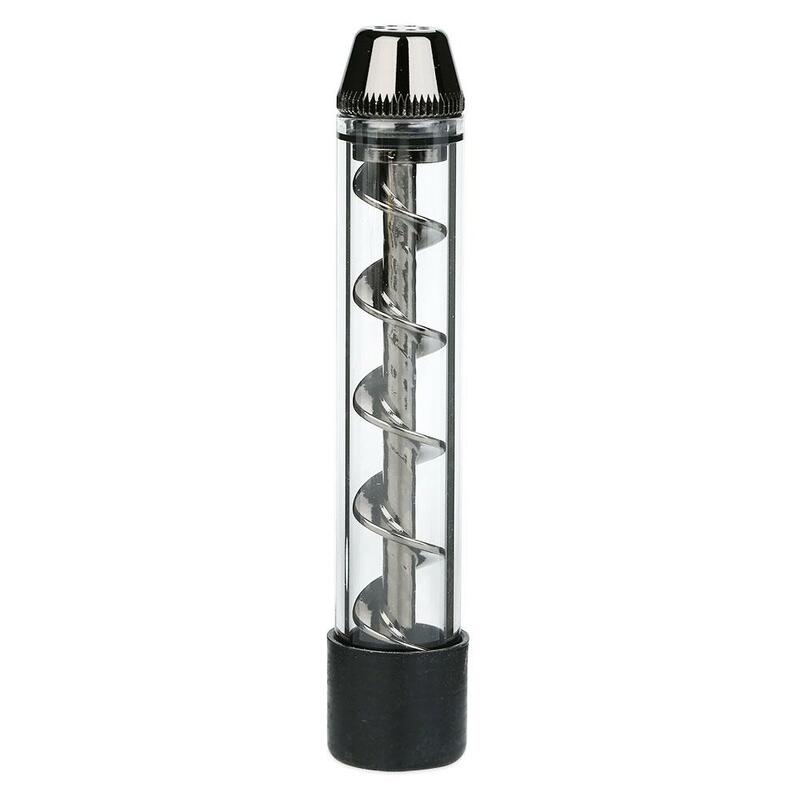 Put the black rubber sleeve, pull the brass metal part out, put the tobacco into the glass tube, insert the brass metal fitting into it, turn it counterclockwise several times, make the tobacco thread fill the whole glass tube, then take off the black plastic and use the ignition directly Pumping lighter. Twisty Glass Blunt is easy to use and non-stick, and it has a huge vapor and good smoking taste, will provide you with a good smoking experience. I love it !!! just as decribed...I sure will come back to this site.+a fast shipping,thank you.